UltraSling IV AB leads the way in comfort and convenience. 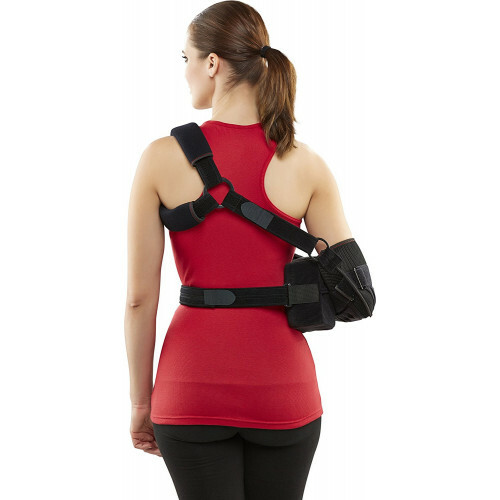 The three-point strapping system is easy to point on, while its unique design eliminates pressure on the neck. The soft breathable inner lining with mesh laminate helps improve ventilation. A large comfortable cushion that switches easily from left to right reduces inventory required and can provide 45 or 60 degree abduction where required. Soft liner wicks away moisture and helps increase ventilation. Color coded stress ball and label by size for quick identification and accurate dispensing. 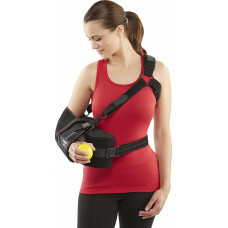 3-point strapping system evenly distributes weight and takes pressure off the neck. Soft padded, customizable straps provide maximum comfort.